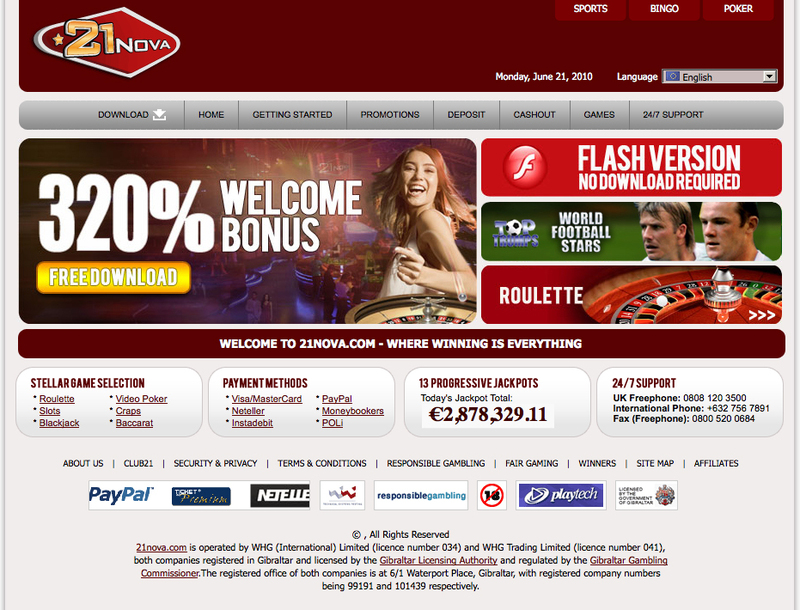 21nova Casino, formerly known as 32Vegas Casino, is one of the oldies but goodies in the online casino industry, established in 1999 by Crown Solutions Gaming; the same distinguished company that brought us internet gambling sites such as EuroGrand Casino, William Hill Poker and 10 other highly successful online gambling sites. Running on the PlayTech platform, players at 21nova Casino can expect to find a versatile assortment of realistic casino-style games on a straight-forward, user-friendly interface. With 16 languages and 6 accepted currencies, 21nova has continued to rise among the ranks over the last decade. Sign up now to take advantage of a generous 320% welcome bonus up to €/$320 over your first deposits. 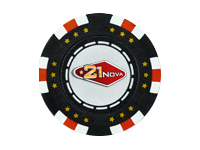 21nova Casino rewards its online gambling players based on their participation in casino games such as online craps, online roulette, online blackjack, and comp point accumulation. Every $1 wagered earns 4 comp points. Comp points can be converted to cash, though the rate varies by VIP levels. At the base level, 4,000 comp points equals $1. Players can also earn a $50 bonus for each referred friend who deposits at the online casino. As we mentioned in the 21nova Coupon Code section, each and every deposit at 21nova can earn up a to 15% matching bonus by using one of the online casino’s preferred payment methods. A 15% match is awarded for all deposits made through Neteller, Click2Pay, Click&Buy, Ukash, Paysafecard, MoneyBookers, EcoCard, EntroPay, MyCitadel, WebMoney, Wire Transfer, Local Bank Payment and UseMyBank. Depositing with Visa, MasterCard, Switch Card, Solo Card, Visa Electron or Maestro Card grants a 10% match bonus. These bonuses are added onto any other eligible bonus offers.